BONE NUTRITION EXPERT INTRODUCES ITS NEWEST FORMULA—ANLENE TOTAL! I'm no milk drinker back when I was a child. I try to stay away from it as possible just because I don't like its taste and smell. In fact, the closest thing to me drinking milk is having myself a glass of chocolate milk. But as I got older, I slowly learned the importance of caring for your bones and drinking one of the highest source of calcium- Milk. Anlene, the Expert in Bone Nutrition, is the leading bone health milk brand in the Philippines. Its products are enriched with a scientifically formulated complex of essential bone strengthening nutrients and provide twice as much calcium as regular milk. A research published in 2009 showed that Anlene is clinically proven to reduce bone breakdown within 4 weeks. Through the efforts of Fonterra, maker of Anlene, bone health awareness continues to be significantly relevant and the role of high-calcium milk in Osteoporosis prevention is clearly established. However, many Filipinos may not realize that joints too, experience daily wear and tear. Joints provide the lubrication between two moving bones. However, the joint cartilage which protects the ends of our bones can wear out. Glucosamine, an essential building block of joint cartilage, is naturally found in the body. It is produced by the body but the ability to do so is reduced with age. With this, even everyday pressure from usual activities like walking, climbing up and down the stairs, may cause degeneration of joints or Osteoarthritis. From the Expert in Bone Nutrition comes a new formula containing twice the Calcium vs. regular milk and added Glucosamine to help protect not only your bones but your joints, as well! 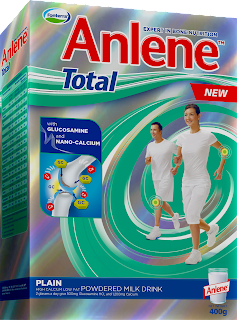 Anlene Total’s unique combination including Nano-calcium & Glucosamine helps maintain strong bones AND helps fortify cartilage in joints, protecting them against damage caused by everyday physical activities. My mom is an Anlene drinker for years now, and she can attest to its effectiveness. She was also glad to find out that Anlene now offers a new formula that includes her daily Glucosamine supplement. The new Anlene Total was launched in an interactive event held at Beyond Yoga Studio at the 3rd Floor of the IL Terrazo Building in Tomas Morato Avenue corner Scout Madrinian Street, Quezon City. Through a demonstration of customized exercises by US-certified Performance Enhancement Specialist, Master Trainer Mark Wood, guests experienced how daily physical activities present damage to bones and joints. The program was also highlighted by an impressive Anti-Gravity Yoga routine from the Beyond Yoga instructors. 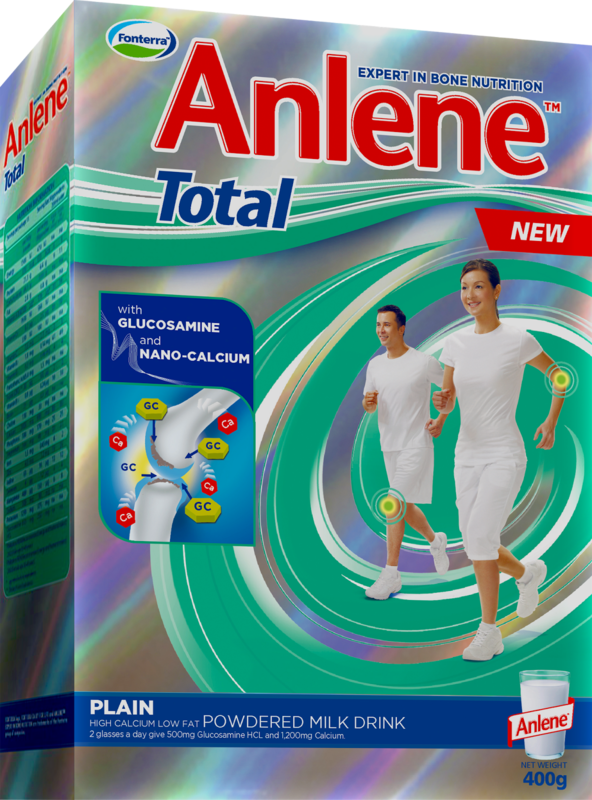 New Anlene Total helps provide the necessary protection to support bone and joint health and allows us to continue living life to the fullest. Keep on moving with Anlene Total now! This study allowed us to define the effects of nano-calcium in lessening the decrease in bone mineral density and increase in bone resorption induced by ovariectomy. The difference in metaphyseal trabeculae was clearly found between nano-calcium supplemented and ovariectomized rats. The nano-calcium supplemented femur has elongated trabeculae whereas no calcium supplemented group displayed fragmented metaphyseal trabeculae. Observation indicated that nano-calcium may induce in high intestinal absorption and inhibit bone loss by ovariectomy. As the conclusion of the study, Nano Calcium supplement milk is proved as the most effective for the improvement and prevention from OSTEOPOROSIS being induced from Calcium. The RC Cola Nostalgia- "Ang RC Cola ng Bayan"